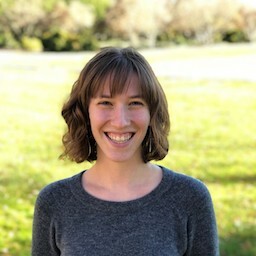 Emily Rubenstein is the program coordinator for the Health Innovators Fellowship at the Aspen Global Leadership Network. Prior to joining the Aspen Institute, Emily worked in both the educational research and assessment divisions at the American Institutes for Research. She also completed internships with the Center on the Developing Child at Harvard University, the Georgia Early Education Alliance for Ready Students, the U.S. Department of Education, and the Rochester (NY) City School District. Emily earned her A.B. from Harvard College in Social Studies with a focus field in Education Policy in the United States. Throughout her college career and culminating in her honors thesis, Emily explored the questions and conflicts that arise when working to simultaneously pursue multiple American ideals, such as individuality and equality of opportunity. Her continued interest in these tensions, combined with her longstanding interests in medicine and the public and nonprofit sectors, drive her in her daily work with the Fellowship.